Battlefield 1, the upcoming shooter game based on World War I, is going to have a spectator mode and screenshot-taking tools, EA announced. These tools will be available on PlayStation 4, Xbox One and PC. Battlefield 1 is planned to be launched on October 21. EA gave an opportunity to check the spectator mode to one of the screenshot artists so he shared his thoughts to everybody about how the whole mode works. In spectator mode you can choose to follow any warrior or vehicle while using a “director camera”. This allows you to control its arrangement in Battlefield 1. The upcoming Battlefield 1 will also have a “free camera” option in the game’s spectator mode. This option will allow you to build a number of free cameras and locate them around the map. After that you will have an option to switch between them. Moreover, the settings for each of the camera could be adapted independently. Battlefield 1 game fans will also have an option to regulate the field-of-view and depth-of-field settings. The field-of-view settings are better for the close-ups while the depth-of-field are great when you want to modify camera blur and other related settings. 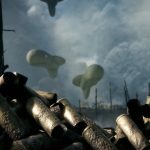 Players will also find some camera filters to use In Battlefield 1. What is more, there will be an opportunity to hide the HUD which is really useful. Members of EA/Origin Access will start playing Battlefield on October 13, more than a week before the official launch. Those who bought a special Battlefield 1 edition for $80 will get a three-day early access to the World War I shooter game. More exciting news came out last week. EA announced a Battlefield 1 single-player campaign trailer with a better look at the single-player “war stories” including multiple characters. Moreover, additional video was announced, teasing a fight against the Ottoman Empire in Battlefield 1.